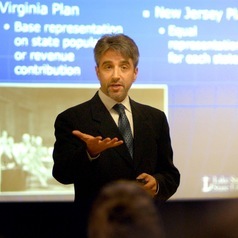 Arthur Lupia studies decision making and learning. He uses this information to explain to convey complex ideas to diverse audiences. His work clarifies how people make decisions when they lack information. He works with many organizations to improve communication of complex topics to diverse audiences. He is Chair of the National Academies Roundtable on the Communication and Use of the Social and Behavioral Sciences. He is an elected member of the American Academy of Arts and Science and has been a Guggenheim Fellow and an Andrew Carnegie Fellow. His latest book, Uninformed: Why People Know So Little About Politics and What We Can Do About It, was published in 2016. The 1998 National Academy of Sciences Award for Initiatives in Research. Center for Advanced Study in the Behavioral Sciences, 1999-2000. Fellow of American Association for the Advancement of Science. Elected, 2004. Member of the American Academy of Arts and Sciences. Elected, 2007. The Warren Mitofsky Innovators Award. American Association for Public Opinion Research. 2007. The Robert E. Lane Best Book Award. APSA 2012. The Ithiel de Sola Pool Award. APSA 2013.